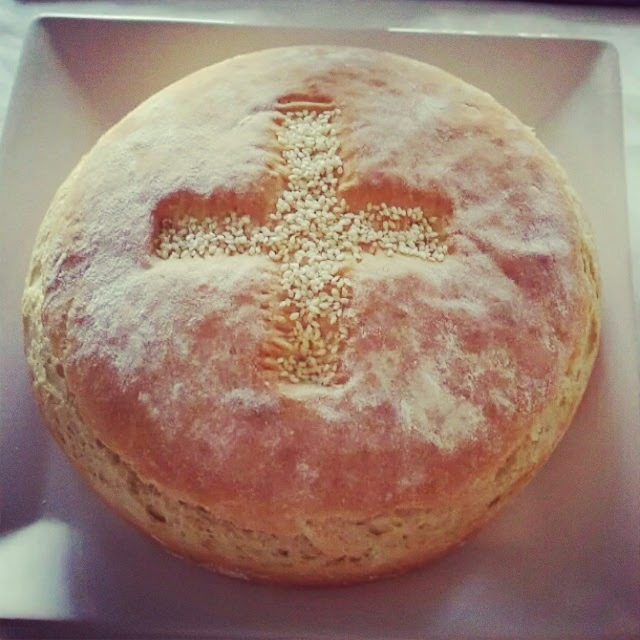 With the Sveti Nikola slava approaching on the 19th December, I thought it would be handy to share my simple recipe for holy bread AKA 'Prosphoron' or 'Nafora'. 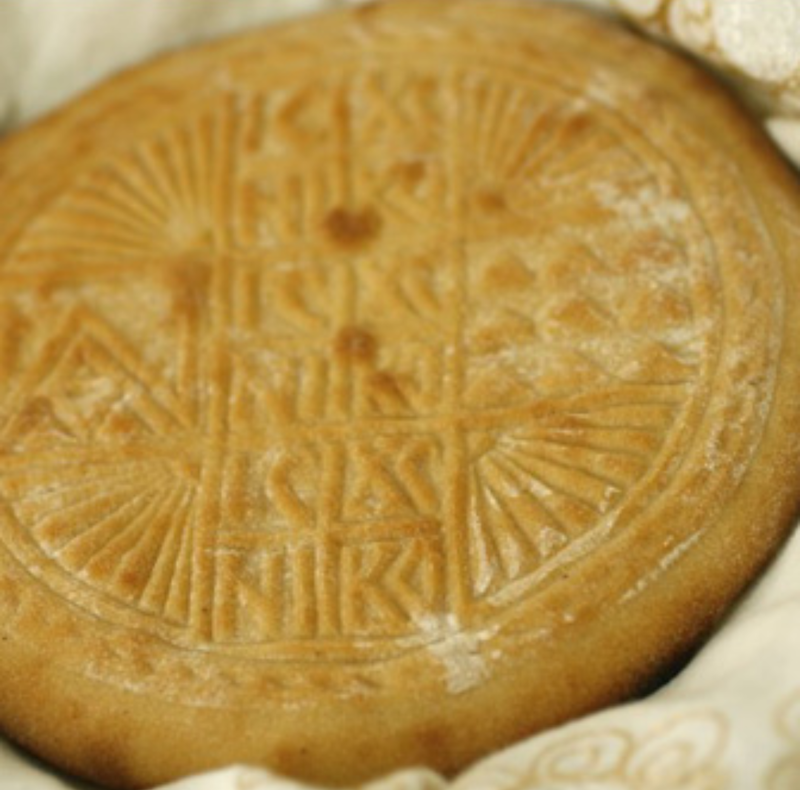 This bread is neither made with nor baked with any fat or oil, and is also offered at the Divine Liturgy (church on Sunday morning). 2. Combine 5 1/2 cups of flour and salt in a large bowl and make a well in the centre. 4. Sprinkle remaining flour over your work area and knead dough for 10 minutes, adding as little additional flour as possible to the board. Dough should be soft but not too sticky. 6. Sprinkle board work area with a little flour, punch dough down and knead for 15 minutes. Dough should be firm and smooth. 7. Form into a large round loaf and place in a well floured 12 inch round pan. Optional: decorate with sesame seeds, or use Prosphora seal. Flour the seal and press down firmly in the centre to make a sharp impression on the dough. 8. Cover and allow to rise in a warm place until double in size. 9. Remove seal and bake at 180 degrees for 1 hour or until a light brown colour. 10. Remove from pan to cool.